A Metal is a material that is typically hard, opaque, shiny, and has good electrical and thermal conductivity. Metals are generally malleable-that is, they can be hammered or pressed permanently out of shape without breaking or cracking. 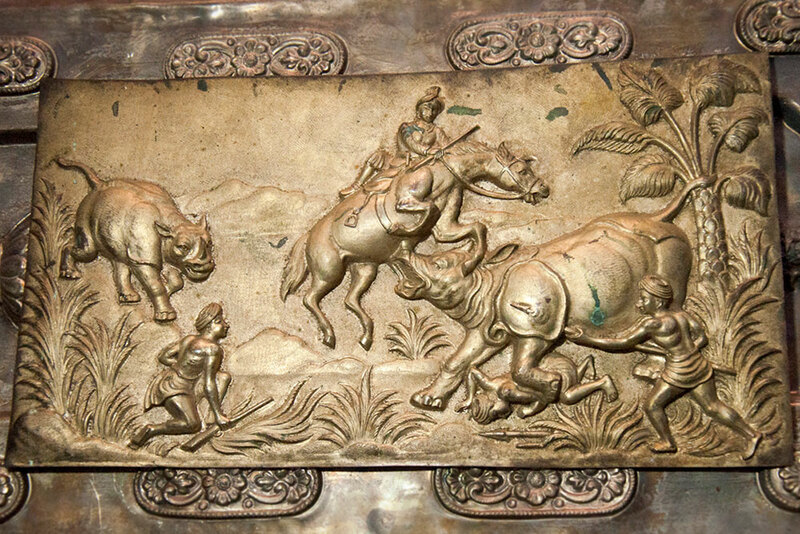 Both the literature and the metal mages excavated by archaeologist establish the fact that the art of bronze casting has been continuously practiced in India for more than five millennia. 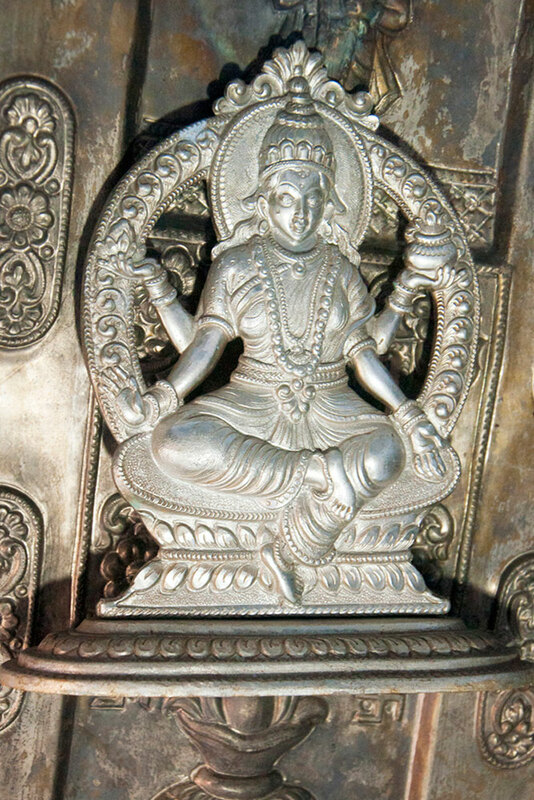 The Indian metal smith is known for various methods of metal-working and has created forms with vision, conception, and sensitivity of a sculptor. Copper and tin were the earliest non-ferrous metals used by man. Later, these were mixed to form an alloy called bronze. Nowadays there is an extensive use of brass, bronze, copper, iron and bell metal in India. The technique of embossing dates backs to antiquity and has been widely with gold and silver for fine detailing work and copper and bronze were used for the larger sculpting works. A classical piece using embossing method includes the bronze Greek amour plates from the 3rd Century BC. Embossing were commonly made in India to create objects such as embossing designed water vessels. These vessels were generally made of Copper and silver. 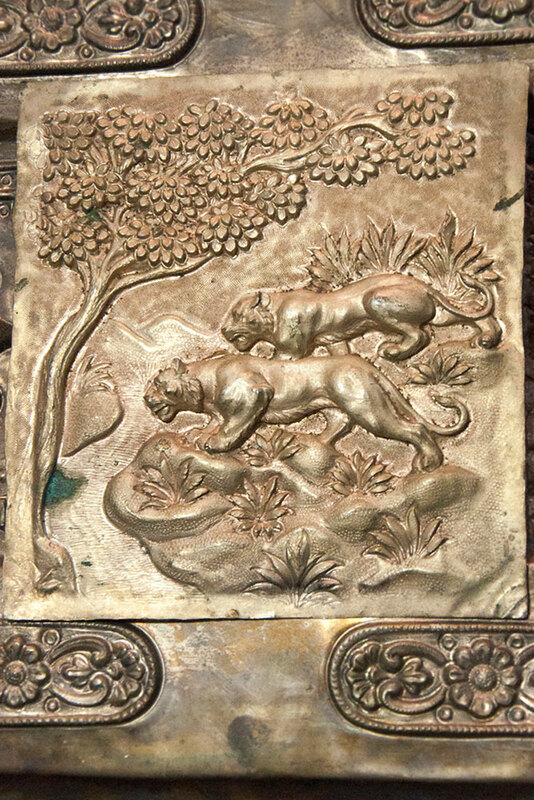 Metal embossing is a 500 years old tradition of India. During the Hopewell and Mississippian periods of the American south east and Midwest goods of the embossed metal were fashioned as ritual regalia and eventually used in prestige burials. 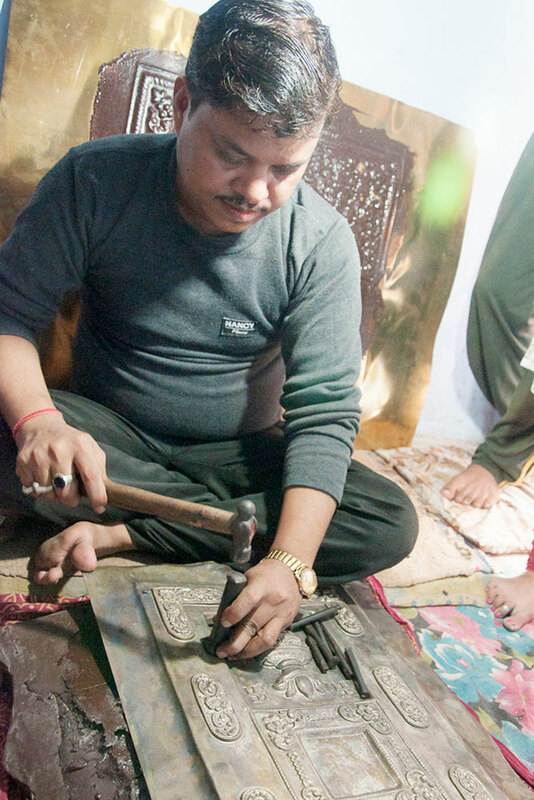 Kashipura located in Varanasi is one among famous place for sheet metal embossing art. Craftsman usually prefers copper and brass sheets in embossing work. Mr. Jayprakash who is looking after the metal embossing work says that it is their family business and he got involved in this work by the influence of his father late Sri Chand, their family is involved in this work since many generations. His father Sri Chand was awarded with Rashtrapathi Award. Craftsman Santhosh who is working under Mr. Jayprakash says that he is involved in metal embossing work since his childhood from the age of 10 years. He learned the work from Vijay Kumar in Delhi. 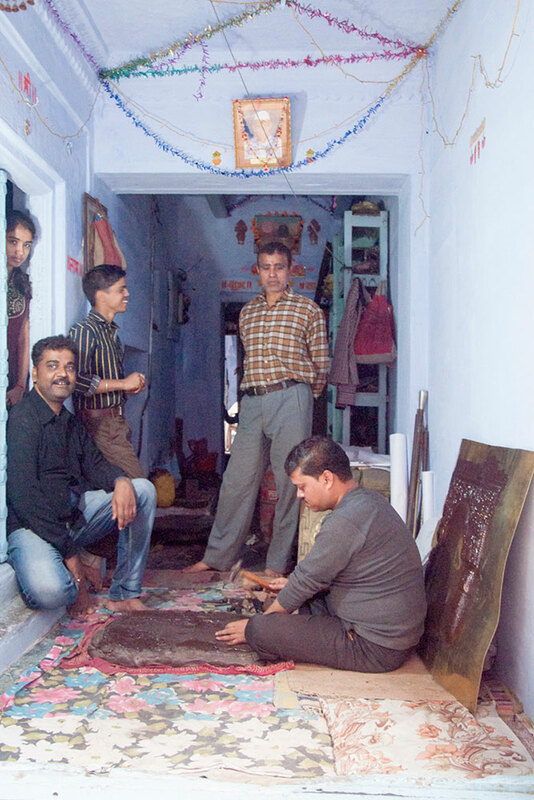 He says that he has also worked for the most famous golden temple of Amritsar.